Telemetry is an increasingly applied technique to investigate the behavioural ecology of aquatic animals in the wild. These animals are equipped with electronic tags, implanted internally or externally by means of a minor surgery. 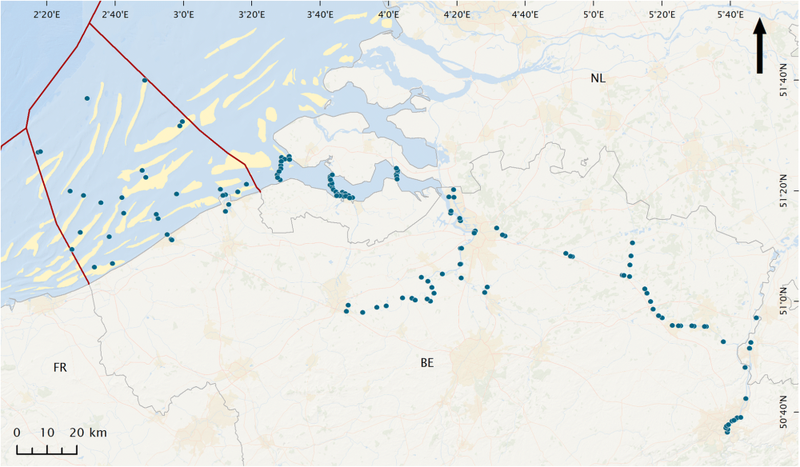 As part of the Belgian LifeWatch observatory, fishes are being tracked with different telemetry types by Ghent University, the Flanders Marine Institute and the Research Institute for Nature and Forest. 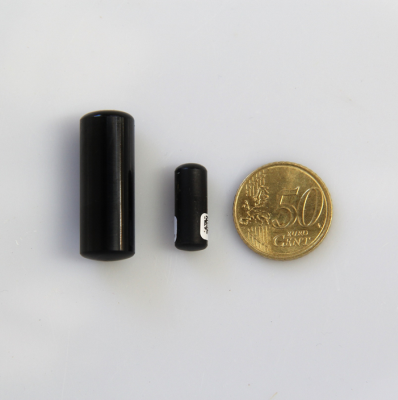 In acoustic telemetry, the acoustic signals of transmitter tags can be detected by a network of receivers. Upon detection, the information of the unique ID-code of the transmitter is stored on the receiver together with an exact timing of the event. When applicable, data from incorporated sensors in the tags (e.g. 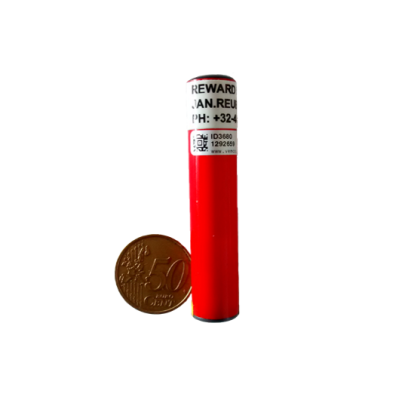 temperature, pressure and acceleration) can be stored as well. 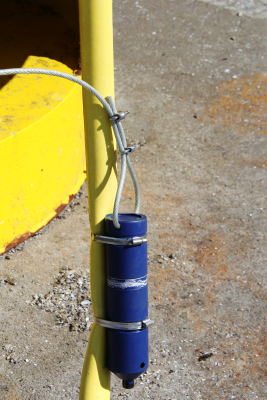 The detection probability of the receivers can change substantially depending on the environment they are deployed, but on average a high probability (> 70 %) is achieved till 200 m.
In contrast to acoustic transmitters, data storage tags (DSTs) do not emit signals, but log and store environmental data (e.g. temperature and pressure). The advantage of this technique is that it does not rely on moored receivers. 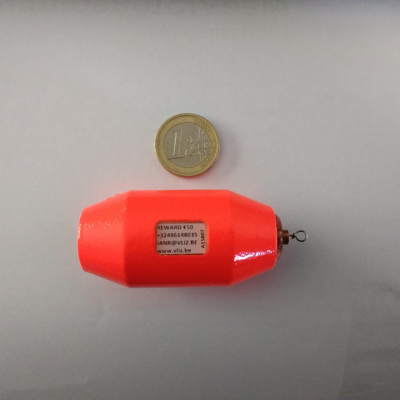 However, acoustic data storage tags are applied as well: these devices both emit acoustic signals to be detected by the PBARN and log environmental variables. Nonetheless, DSTs need to be retrieved to obtain the recorded data. Based on those data, the tagged fish its trajectory can be reconstructed. Hence, if you find a red object on a beach, please contact jan.reubens@vliz.be and get your reward! LifeWatch Data Explorer - Fish telemetry data: Access and explore the LifeWatch data.